In recent years asylum seekers and refugees have experienced oppression and systematic denial of rights at the hands of the British state. 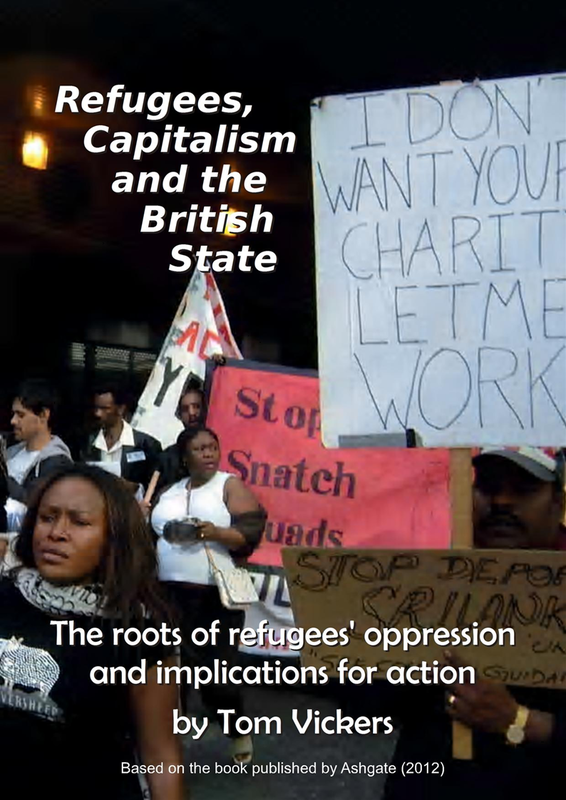 This pamphlet explains why, though a Marxist analysis of British capitalism and the international corporate interests served by the British state. Refugees speak through the pages about their experiences of the asylum system, including dispersal, detention and the prohibition of paid work, and about the forms of action they have taken to survive and resist. The pamphlet ends with an urgent call for action. The pamphlet is available in an A5 format with a full colour cover and 30 pages including illustrations, email me if you would like copies.